As a dark skinned woman, it's quite a challenge getting makeup that absolutely suits me. I do have to say that things have improved in the past few years but there is still room for improvement. I am always of the opinion that if there's a gap in the market, it's not enough to rant about it rather it's good to do something about it. That's why I am always happy to support brands (both international and black owned) who develop products to bridge this gap. One initiative that is bridging that gap is Melariche. 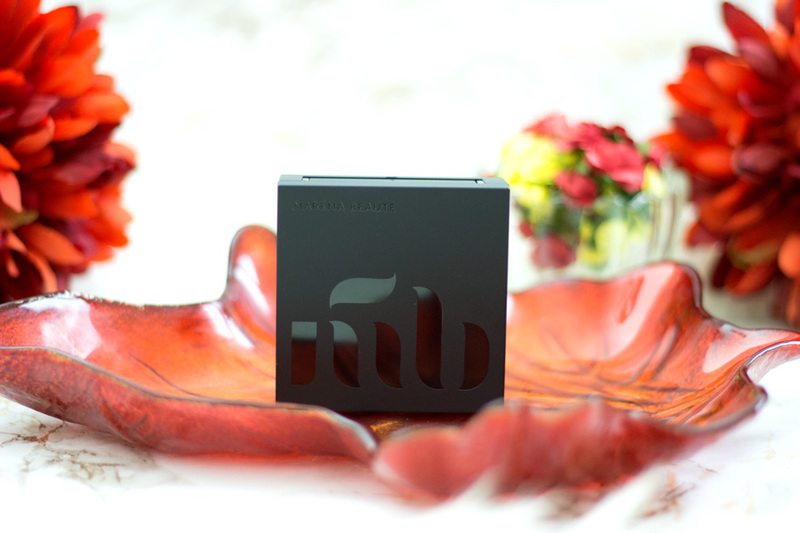 It is a one-stop online shop specifically created for women of colour to shop brands that have products that suit them. I absolutely love it because I know it's not going to be a struggle finding what suits me on there. I was very delighted to find out about Melariche and I had a quick browse to see if some of my favourite brands were there and indeed they were. I even spied some products my Mum loved using and I know I will be purchasing some back up products for her. The name "Melariche" came from merging two words- Melanin and Rich hence "Melariche" and I think it's a lovely name for what it represents. It describes a shopping site where you can find products that are suited for melanin rich girls. Yasss!!! 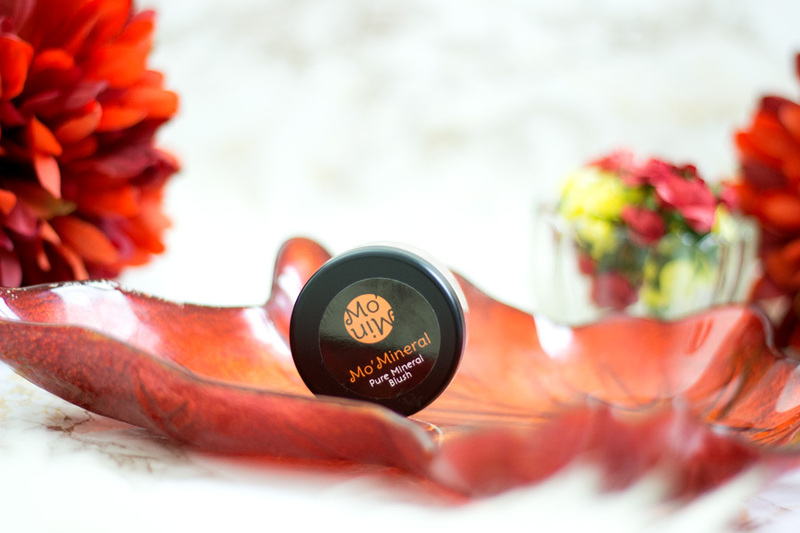 Melariche was founded by Jackie Taiwo who is a Lawyer turned Beauty Entrepreneur. Jackie has experienced the struggle of having to find products that suit her beautiful dark complexion and I totally relate with her on that level. However, she did not sit down and just rant instead she did something amazing about it and for that, I feel really inspired. She created the impressive Melariche and I know that this is just the beginning of greater things to come. Melariche stocks many beautiful brands and a wide range of products. Some of these brands include 3107, Akoma, Biolissime, Design Essentials, IMAN Cosmetics, Jane Carter Solutions, Marena Beaute, Mo Mineral, Neoclaim, Palmer's, PHB Ethical Beauty, Shea Moisture, Taliah Waajid, Yours Truy Organic, Zao and Ziyanda. I have come across some of these brands but it's amazing to be introduced to new brands. Some of these brands are new to the market and I know having exposure on the Melariche platform will really encourage them. I am also more than happy to support them whenever I can. 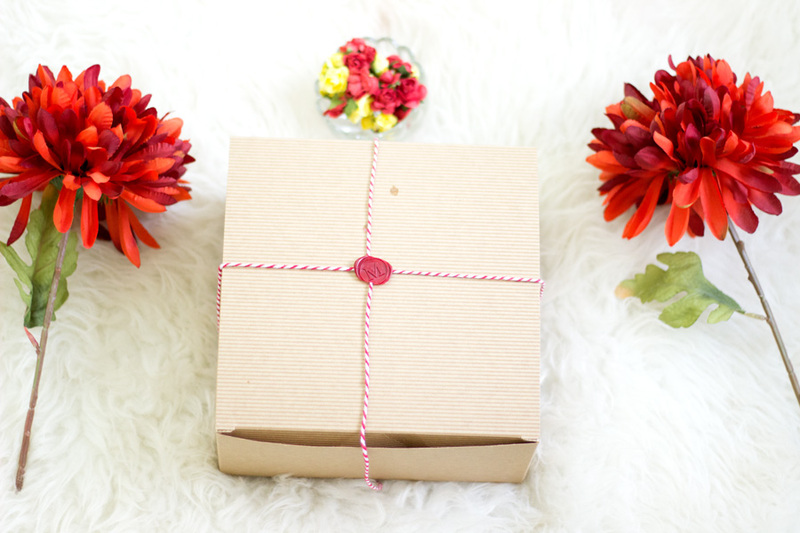 There are so many lovely products to choose from including Makeup, Skincare, Hair care, etc. They also have amazing discounts including up to 45% discount coming up in their Black Friday deal so it's best to sign up to their newsletter so you don't miss out. Although these brands are suitable for chocolate girls, they are also suitable for other complexions (except the foundations which are better suited for women of colour but if you are lighter you can use as a contour). I think the skincare, makeup, contours, etc will be amazing for anyone so it's definitely worth checking out regardless of your complexion. I could not resist sharing my Melariche Story as I had read many amazing ones on the Melariche website which you can check out here. I grew up in Nigeria for the most part of my life and I only moved to the UK 6 years ago. I was not really into a lot of makeup back in Nigeria and I always wondered how on earth my sister (who is a makeup guru) had time to beat her face. However, when I was in my final years in Uni, I started getting into makeup and loving it. I never really had any problems getting makeup in Nigeria because there were quite a few indigenous brands (Tara, BM Pro, Kuddy Cosmetics, etc) who made products suited for the Nigeria woman. I also purchased a lot of Mary Kay products which were (and still are) amazing for various skin tones. When I moved to the UK for my Masters back in 2010, I always shopped in MAC. I had already been told I should not bother with drug store makeup and to be honest, I never checked for several months. One day, I popped into the Superdrug near my Uni to see what was available and of course, there were no foundations, concealers or powders that suited my complexion. At that time, they did not even have a Sleek Makeup counter (the then only brand that was suitable for women of colour). I was quite disappointed but not surprised as I had already been told not to bother. I checked Boots and it was the same old story but at least, they had Fashion Fair (which they have sadly discontinued stocking). I just carried on purchasing from MAC, then moved to Lancome, Bobbi Brown etc. Still, I just could not help feeling cross that I had to pay quite a sum just to get a foundation, concealer or powder that suited my skin tone. Fast forward a few years later, some drugstore brands have woken up to smell the coffee. A few brands have branched out to be inclusive (howbeit very few available shades) but I do recognise their effort and I think it's only right to encourage them. I am still waiting for some drugstore brands like Bourjois, Barry M (I love their eye makeup by the way), Boots Natural Collection, Soap and Glory to wake up from their slumber and be inclusive. Other brands like L'Oreal have been incredible (although they still launch some shades that are unavailable in the UK), Rimmel, Revlon, Sleek Makeup, Vichy and even Max Factor (well done Pat McGrath). I would love to see more but I do commend (and shout them out in Instagram) whenever they expand their products to suit dark skinned ladies/women of colour. So, you can see why I am absolutely thrilled that Melariche has been set up. 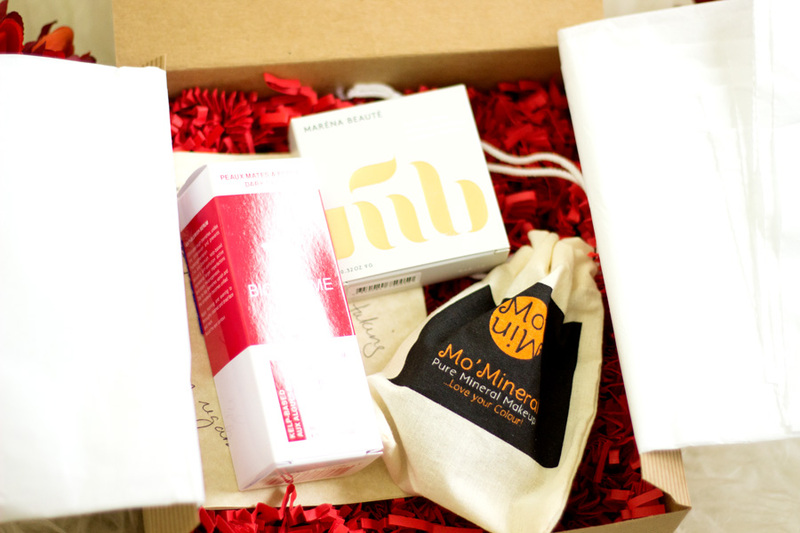 I was so very kindly gifted with some products from Melariche to try out and get a feel of the website. My package arrived very beautifully packaged and I even did an Insta Story un-boxing like I do when I am excited. 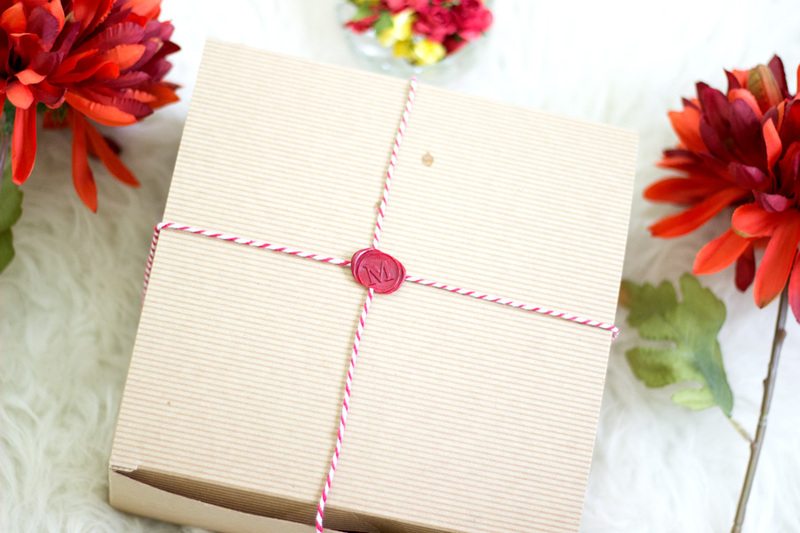 I am all about packaging as you would know if you regularly read my blog and Melariche made a massive effort with my package. 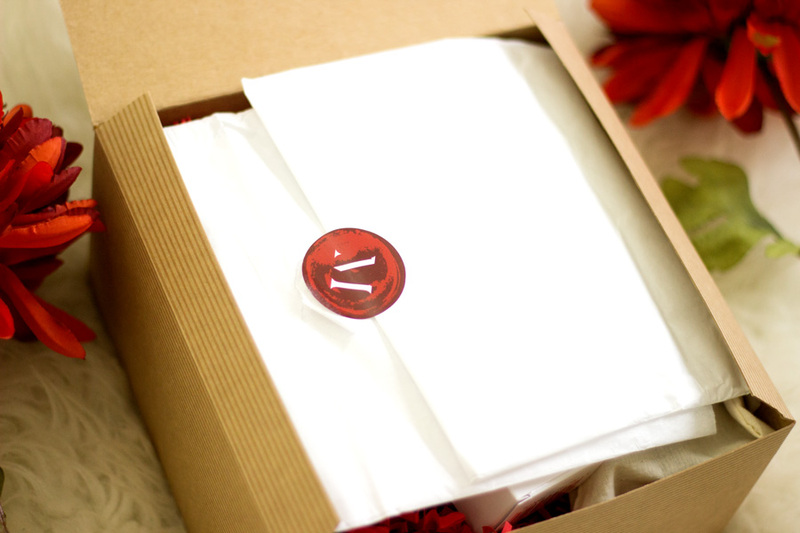 Inside my package, there was a lovely handwritten note from the Jackie (Melariche Founder) which I thought was such a lovely touch. 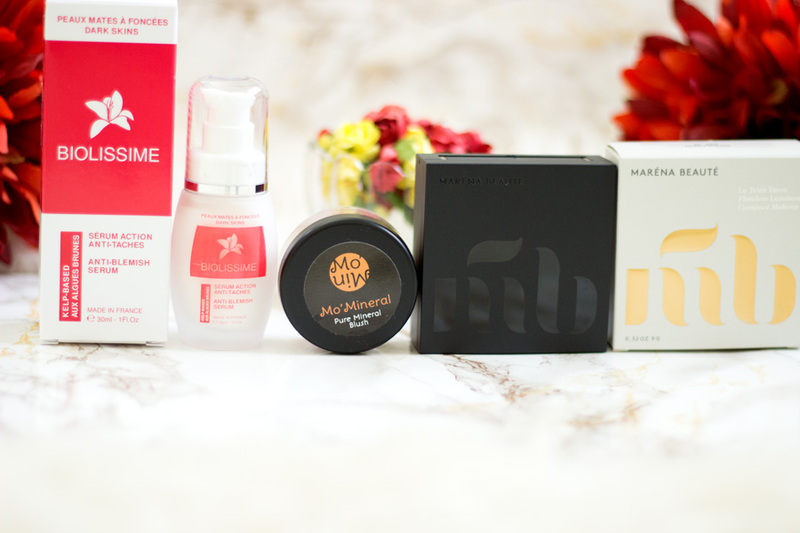 The products I received were: Marena Beaute Flawless Luminous Compact Foundation, Mo Momineral Blush in Ifunanya and Biolissime Anti-Blemish Serum for Dark Skin. I was super excited to see these lovely products. 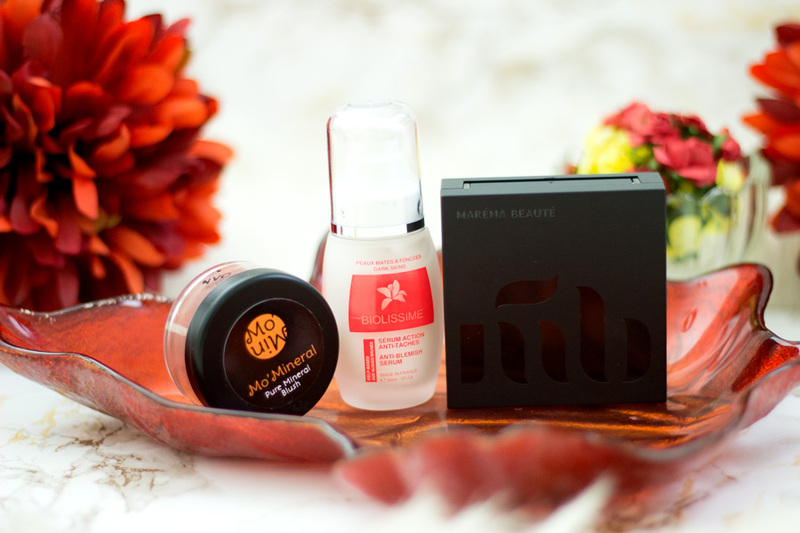 I actually had not heard about some of these brands so I was looking forward to testing them out. 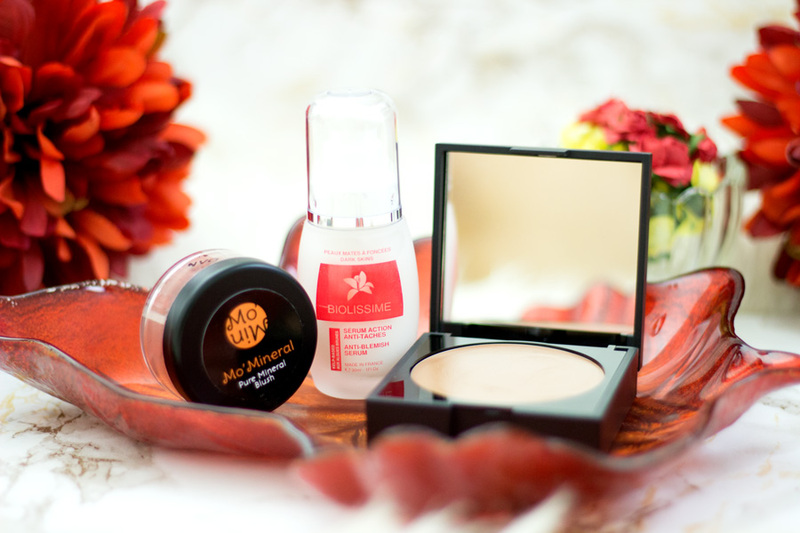 I have had these products for a good while so it's more than enough time to share my thoughts on them. 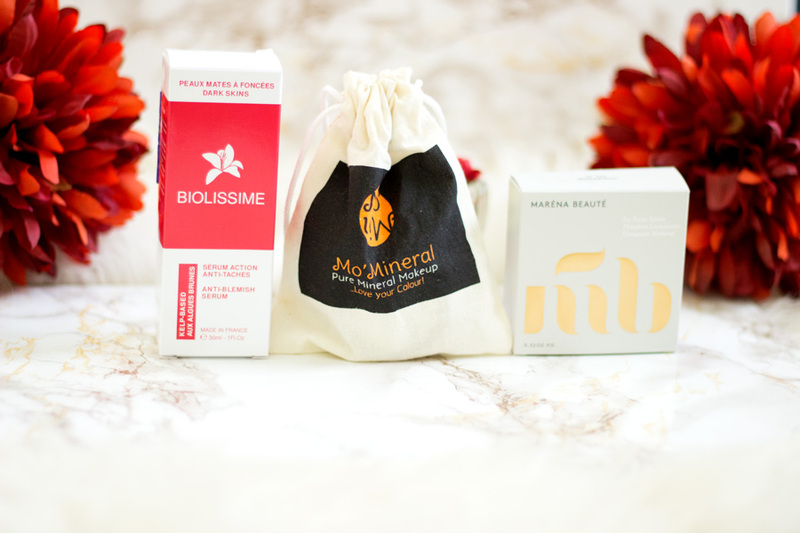 Biolissime is a French based skincare brand founded by Bintou Camara and the brand develops products which cater to women of colour. Their products are known for targeting common skin problems such as blemishes, scarring and hyper pigmentation which many women suffer from(not necessarily women of colour). 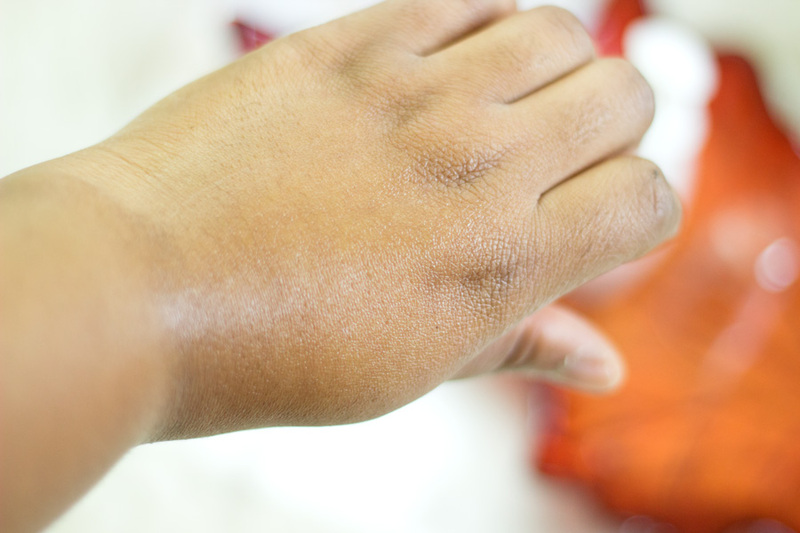 I suffer from hyper pigmentation which you'd have heard me talk about many times. It's one skin concern I always look to sort out whenever I am trying out new skincare products. If it will address my blemishes and prevent any others from developing, I am more than willing to try out the product. 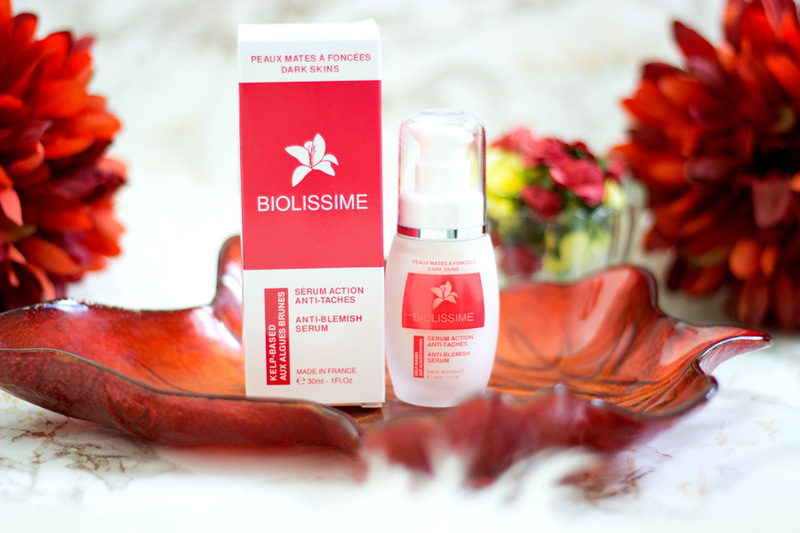 Biolissime's Anti-Blemish Serum is designed to gently unify the complexion treating both existing and emerging blemishes. 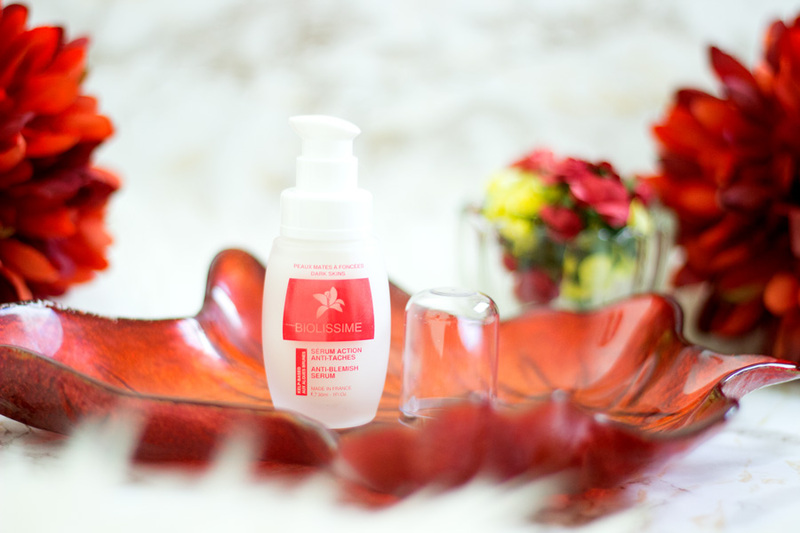 It is a kelp-based formula which helps brighten and revitalise the skin in a natural way without drying out or stripping the skin. With these claims at the back of my mind, I decided to give it a try. I love the simple yet practical package and I have to admit it looks quite dainty on my dressing table. I love that it has a pump so I don't have to dip my fingers into it although I do keep my hands very clean whenever I am applying my skincare products. 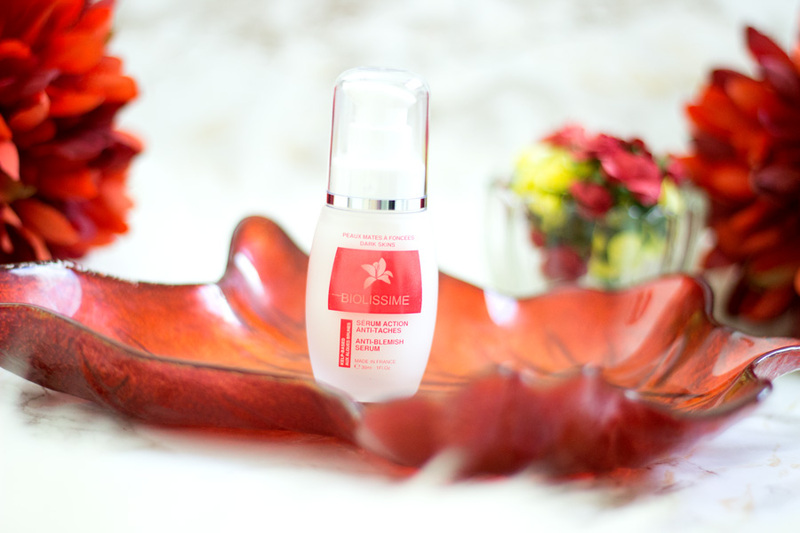 It has a beautiful light texture which is what I am looking for when it comes to a serum but it also feels quite hydrating and moisturising. I do have to say it has done an amazing job at preventing breakouts (I had a relentless breakout on my cheek which was caused by something else and eventually cleared up). My skin felt quite hydrated which is very much needed now that it is colder. 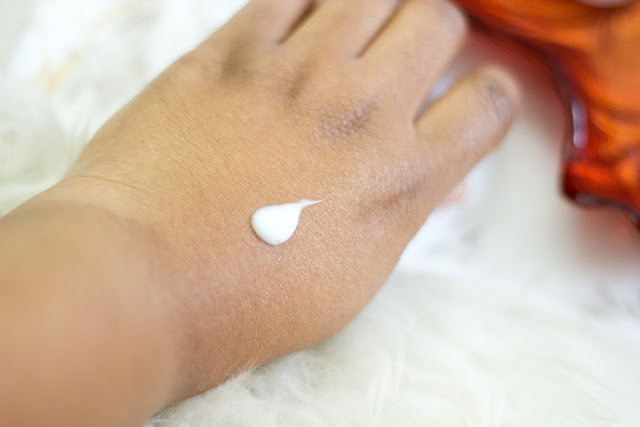 I have noticed that products which contain natural products do take a longer time for me to notice a major difference when it comes to fading away my hyper pigmentations . To be fair, I am in no hurry any more now that I have come to understand my skin better. The good thing is my blemishes did not get any worse/darker so I know it is definitely working and will continue using it. I am almost half way through the bottle so it does last a good while. You can check out the ingredient list here. 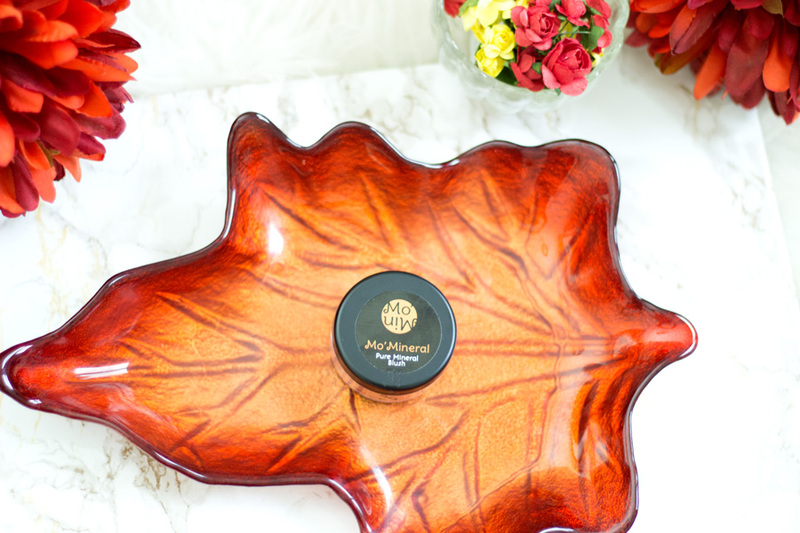 I have to say this was one of the products that instantly caught my eye when I was browsing the Melariche website. I had seen a couple of pictures on Instagram so I was well excited to see it was included in my package. 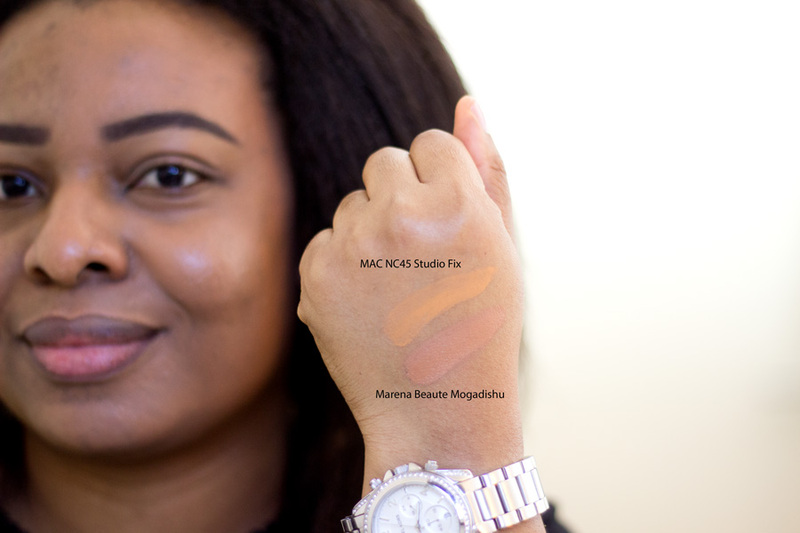 I actually chose the shade Mogadishu which I thought would be a good match to my complexion (I am a MAC NC45 for reference). Unfortunately, I chose the wrong shade but I work with it to blend in well with my complexion. I decided to keep it anyway because I do love the texture, application, wear and of course, the lush packaging. 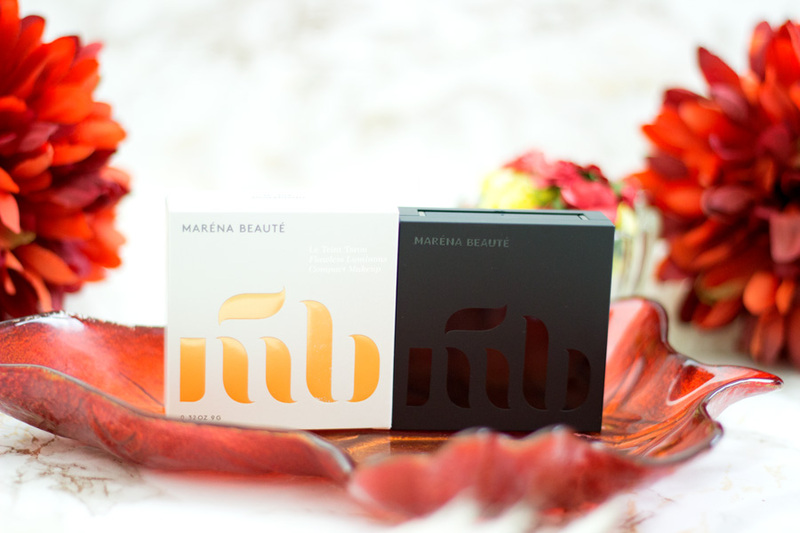 Marena Beaute is a Swedish Beauty brand created by Diarry Marena who is a Swedish Makeup Artist. The brand was launched in 2015 and I have heard many amazing things about them. The packaging is absolutely gorgeous and I can let you know that these pictures do it no justice whatsoever. It's so perfect and I love that a black owned beauty brand is doing amazing things. 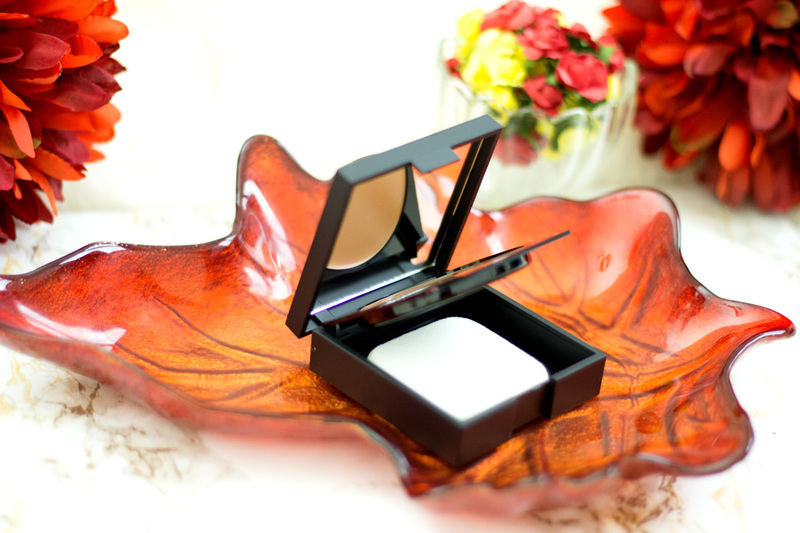 It has a good sized mirror, 9g of product and even a sponge for application. There are currently 6 shades and I am sure they'd be looking to expand soon. I chose the shade Mogadishu which is described as a medium dark with a yellow undertone and I thought that would suit me. I do have to admit that I do have quite a deep yellow undertone (if that even exists) so foundations that suit me have to look golden yellowish. 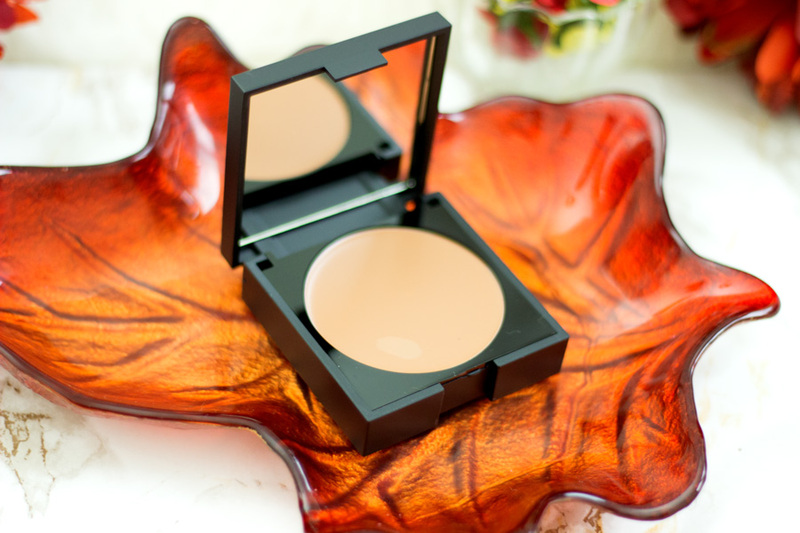 Nevertheless, I have tried the foundation a few times and I have to say it is lovely. 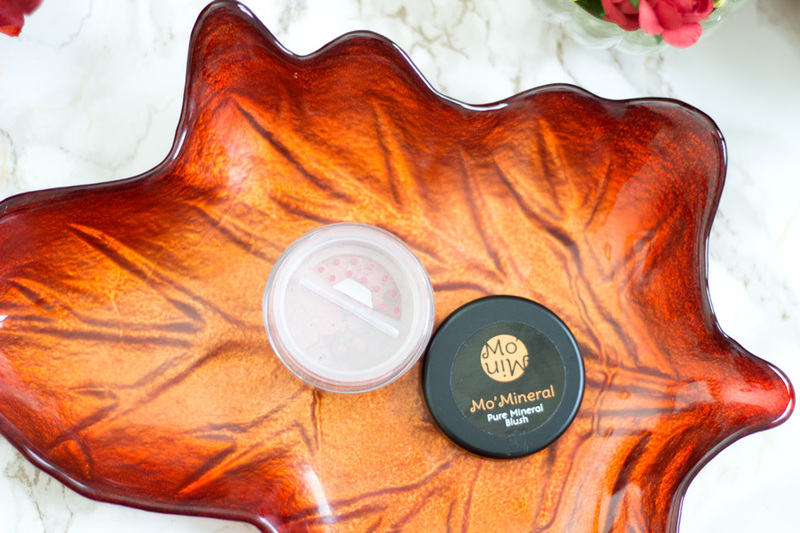 From m experience, it t is best to apply it with fingers or a flat foundation brush (to pick up the product) and then blend with either a beauty blender or any buffing brush you fancy. 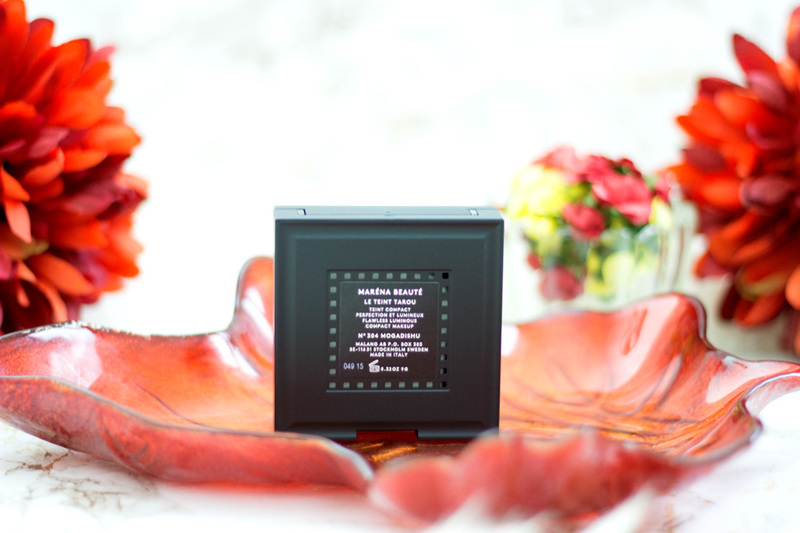 It blends in so well and you need the littlest amount of product as it packs a punch when it comes to pigmentation. I don't need a concealer with this as I just go over any blemishes with the foundation. 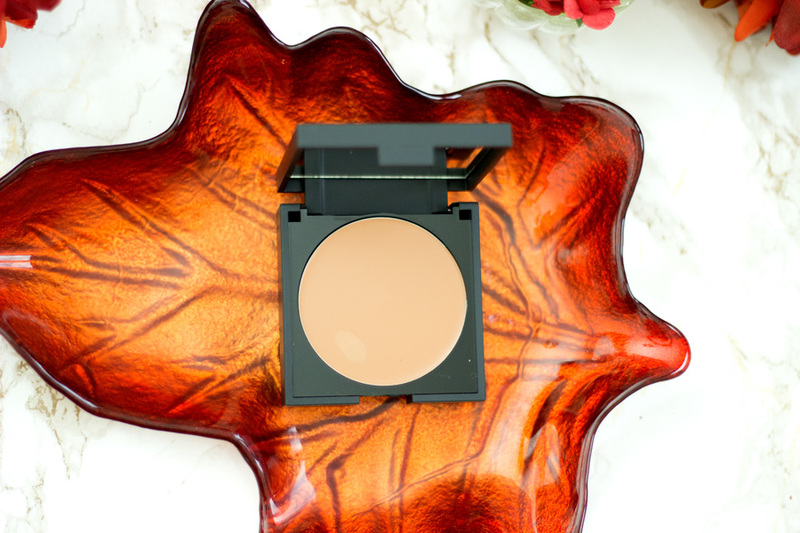 It has a demi-matte finish which looks more natural but I do set it with a powder to prevent my oily skin from being shiny. It wears really well and lasts for a good while although I have only worn it for short periods (weekends when I have time to ensure it matches me well). If you are darker than me (or same complexion with a slight red undertone), you would definitely find a match among the 6 available shades. 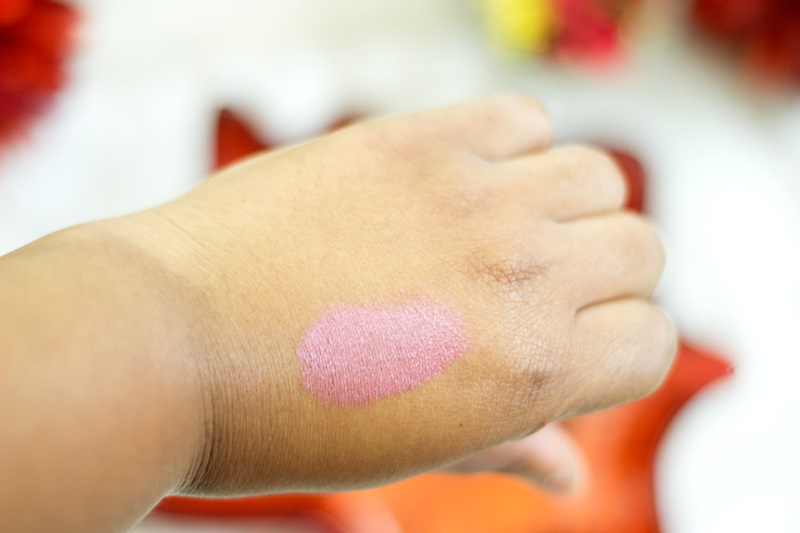 I was very excited when I saw the name of this blush because it means "Love" in my mother tongue (I am from the Igbo Tribe if you are wondering). 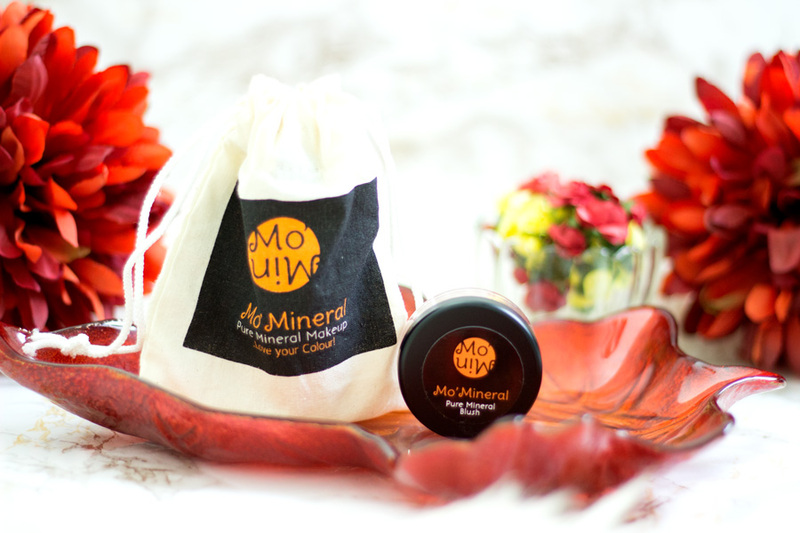 Mo Mineral Makeup products are made from high quality ingredients, specially formulated and readily available for women of colour. 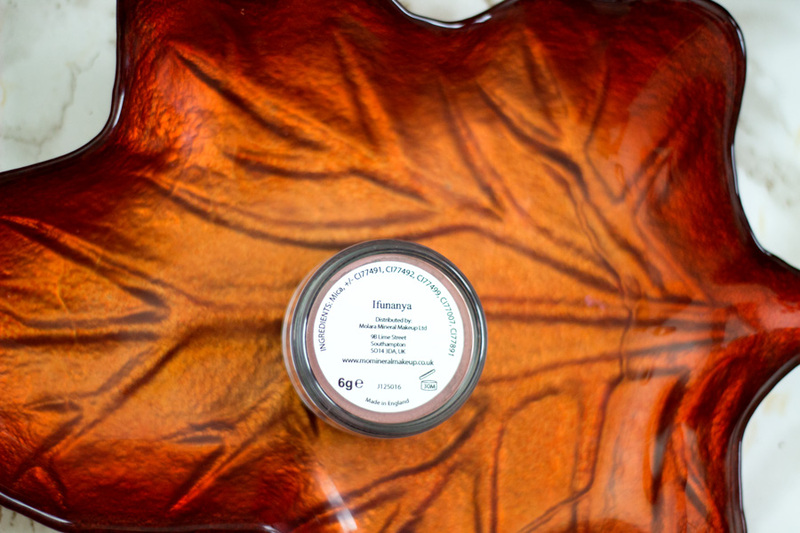 Their products are made in the UK and are regulated and certified by the highest cosmetic standards in the UK. 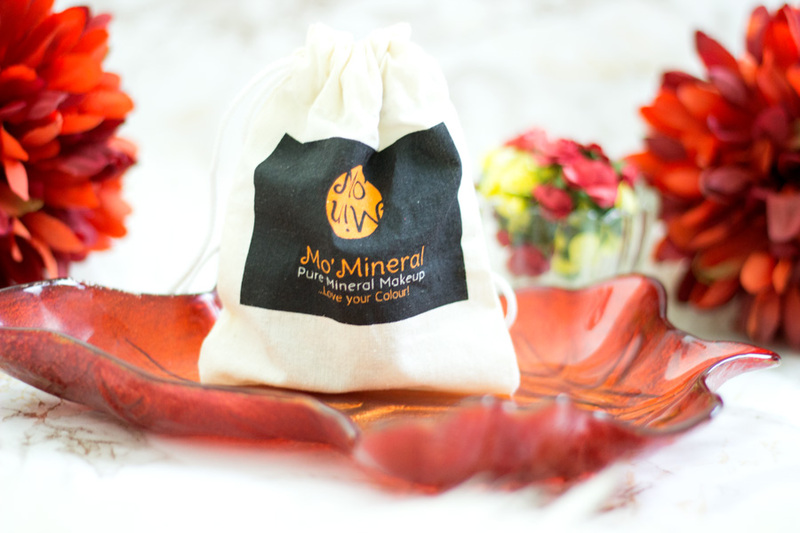 They are 100% natural products which are free from synthetic minerals, mineral oils, harmful chemicals, talc, preservatives, nanoparticles, etc. I love their ethnic inspired packaging and it's really useful for travelling. 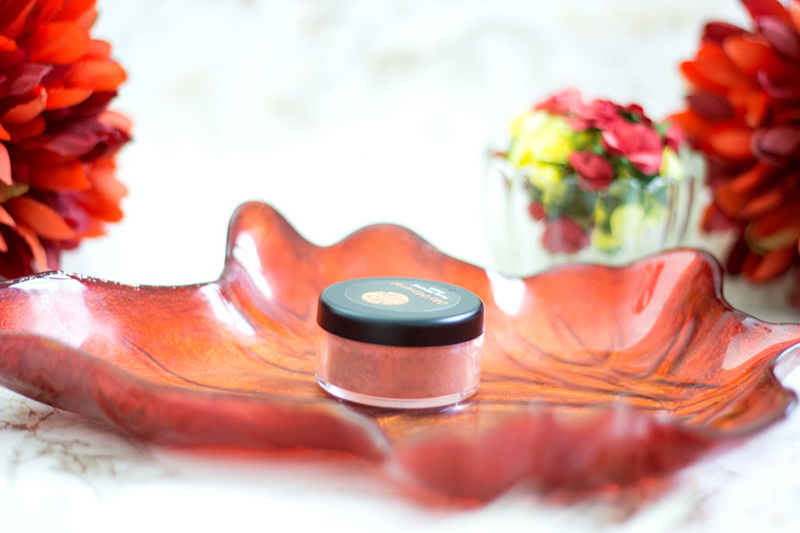 The blush Ifunanya is a lovely warm pink shade which is amazing on my complexion. 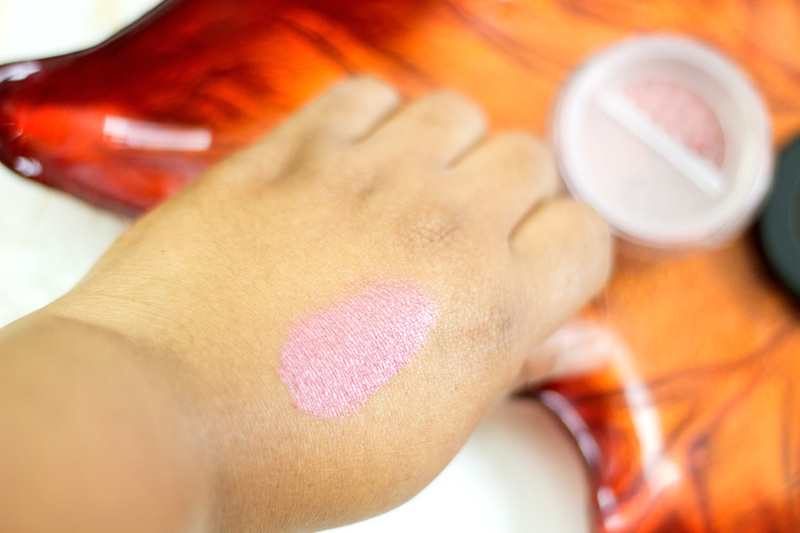 The pigmentation is incredible and it blends out so well so you don't end up looking like a clown. 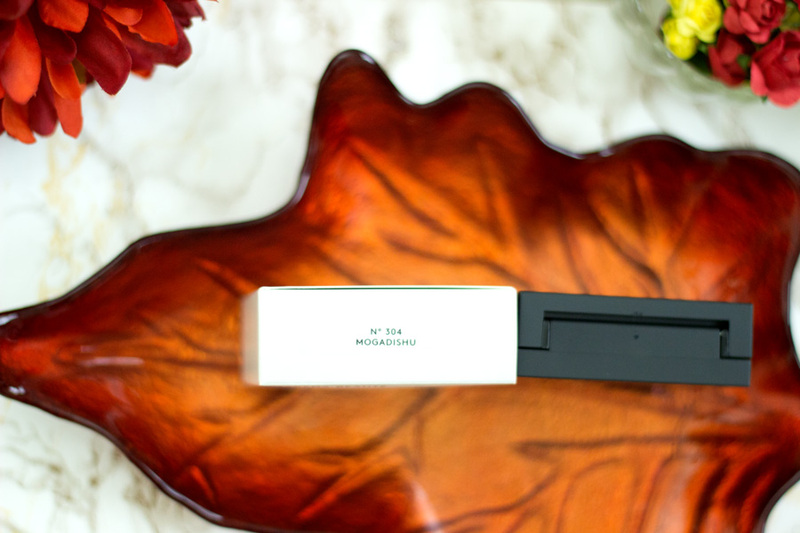 I also love the cute packaging and it has a safety lid with a perforated side to let a out the right amount of product. I just add a tiny amount of product onto the lid, swirl my blush brush ad tap off any excesses before applying to the apple of my cheeks. The good things is it can also be used as an eyeshadow (well, that's what I do though). 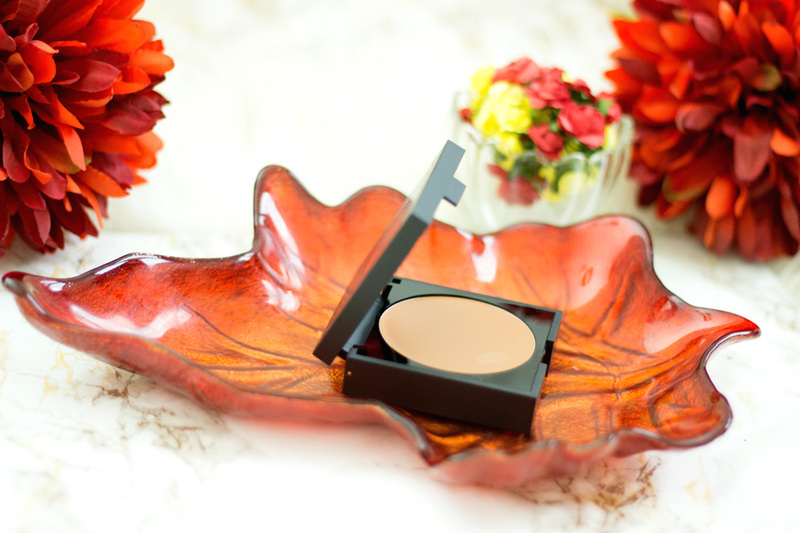 I just use a wet eyeshadow brush and pick up some product and it looks so flattering on my complexion. I love this colour a lot and it will get even more use this A/W season.